Bose is best known for creating high-performance audio products, but their research activities go well beyond sound. For more than two decades, they have been researching a new system for automobile suspensions. 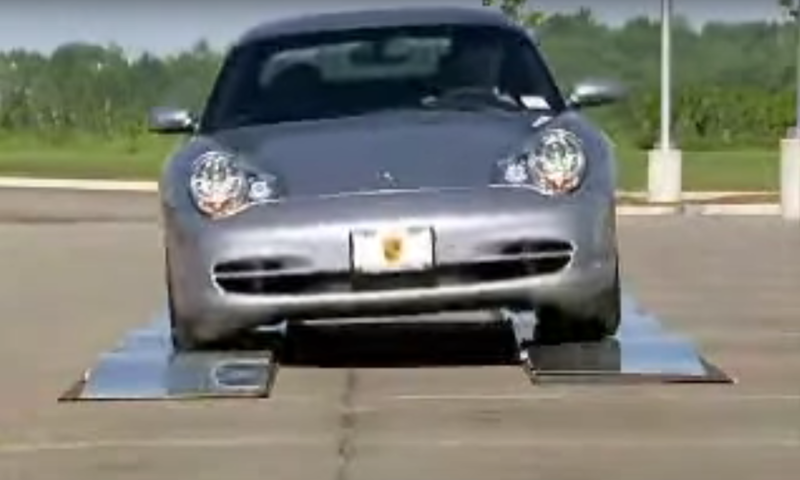 The video below shows the effect of their suspension system. In 1980, Bose founder and CEO Dr. Amar Bose conducted a mathematical study to determine the optimum possible performance of an automotive suspension, ignoring the limitations of any existing suspension hardware. This 5-year study indicated that it was possible to achieve performance that was a large step above anything available. After evaluating conventional and variable spring/damper systems, as well as hydraulic approaches, it was determined that none had the combination of speed, strength and efficiency necessary to provide the desired results. The study identified electromagnetics as the one approach that could deliver optimal suspension characteristics. Sadly Dr Bose died last summer. It remains to be seen whether this technology will make it into the mass market.